Published on June 19, 2017 in Daily Dirt, National and Rocky Mountain Construction. Closed Tags: concrete, Concrete Materials of Montana, construction, construction industry, contractors, GOMACO, heavy equipment, infrastructure, Interstate Highway System, jobs, Millimeter GPS, pavement, roads, safety, Topcon Positioning Systems, Treasure State Inc. 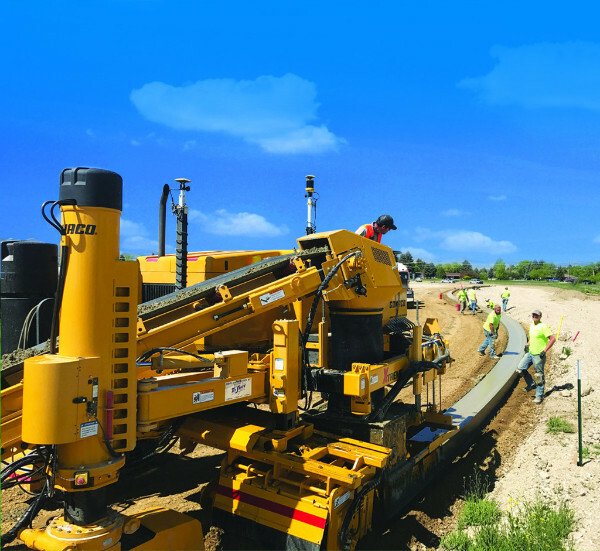 The live demonstrations are scheduled to be divided by application, with the Thursday session focusing on Millimeter GPS on a GOMACO Commander III Xtreme curb and gutter machine — and the Friday session featuring the 3D stringless system with a GOMACO Four-Track Commander III mainline paver. Treasure State Inc. is providing the machines and 3D equipment for the event to showcase the stringless workflow. The Roadshow event is being held near Concrete Materials of Montana near Bozeman Yellowstone International Airport at 5723 Thorpe Road, Belgrade, Montana. To RSVP, contact RDO Integrated Controls at 877-90-RDOIC (877-907-3642).